Over the last few years, the real estate market has experienced some definite ups and downs. But now that the economy is improving, vacation homes are much more accessible to people who’ve always wanted a second property. House prices and mortgage rates continue to be low. This means that buyers with an interest in Summit County vacation homes can certainly take advantage of some really good market conditions. As a realtor, I feel purchasing a recreational property in any one of our scenic towns makes a lot of sense on many levels. Not only are prices quite reasonable, but Summit County has so many great things to offer. From fantastic outdoor sports on dramatic mountain terrain to wonderful strolls through so many unique towns, Summit County is perfect for a relaxing getaway. So if you’re considering a vacation property in Summit County, I can help you through the entire process. Vacation home purchases are definitely on the upswing all over the country. In fact, the National Association of Realtors (NAR) reports that sales of vacation homes and investment properties went up in 2011. Its 2013 Investment and Vacation Home Buyers Survey shows that the market for vacation homes rose more than 10 percent higher in 2012 than the previous year. Furthermore, NAR estimates that 11 percent of all 2012 home sales were for vacation properties. Plus, 78 percent of the second-home buyers surveyed by the NAR said they feel now is a good time to purchase another house. On average, purchased vacation homes were located well over 300 miles from the buyer’s primary residence. The majority of buyers intend to keep their vacation homes for an average of 10 years. 91 percent of buyers want to use their vacation homes as rental properties for at least part of the year. 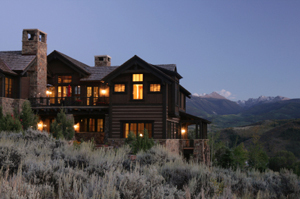 28 percent of vacation homes purchased in 2012 were located in the American West. I’m glad to see the current real estate market is making vacation homes more possible for people who have always wanted a second property. Now is definitely a great time to buy! If you want to purchase a recreational property, I’d love to help you find that perfect home in Summit County. Check out my listings page for some amazing properties! Or, if you’re looking to sell an existing house, I can also guide you every step of the way. Feel free to contact me at your convenience. You can send me an email at [email protected] or call my office lines. Whichever way you wish to get in touch with me, please know I would love to assist you in any of your real estate concerns.